My dog Maya is buckled in. She now wears the safer AllSafe brand. 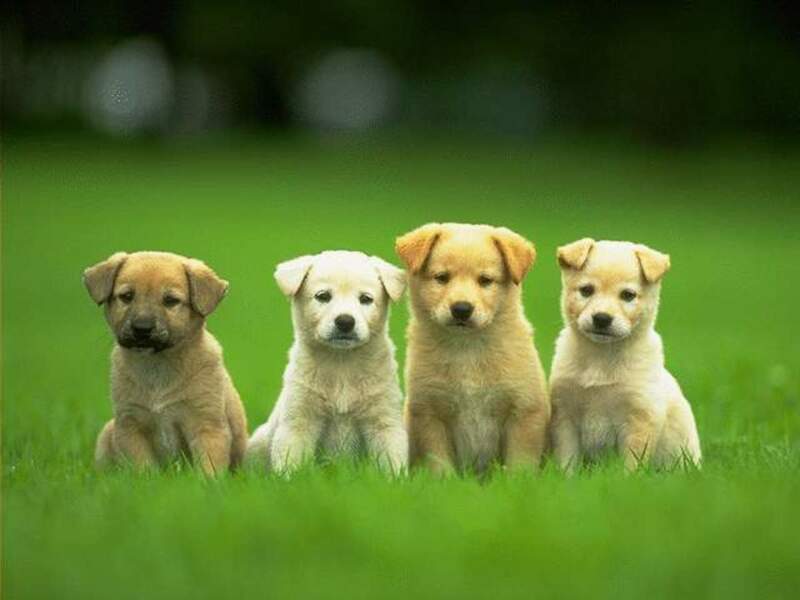 As a dog lover, dog owner, dog trainer, and business entrepreneur in the pet supplies, I often have people asking for advice on various topics about dogs. One question which came up recently is, "Is there such thing as a dog car harness that a dog can't get out of?" This person was trying to keep their dog safe in the car but their dog kept getting out of the pet safety device. Sadly, the answer is no. A determined dog will be able to get out of any harness. So if you want to keep your dog safe, what is the solution? The answer--training. My dog Sephi wearing the Tru-Fit brand from Kurgo. If your dog tries to get out of or chew their safety restraint, it's probably because they find it annoying. They are probably not used to wearing one. Help your dog get used to his harness by having him wear it around the house. Have him wear it at home when you are able to supervise. Reward him when he doesn't mess with it. Distract him from it by playing with him or giving him treats. 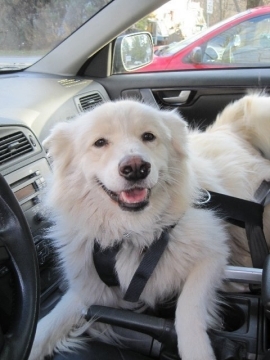 Most pet seat belts come with two parts - the harness part and the tether part. 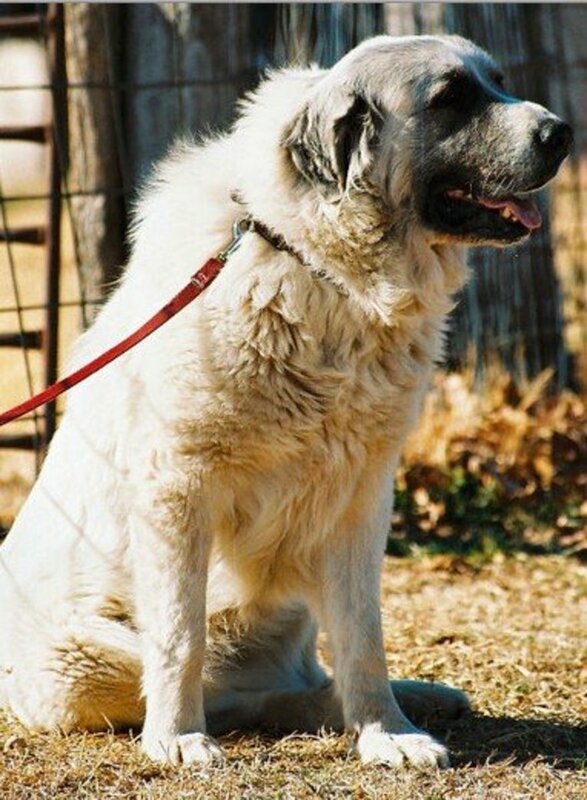 Generally, the tether can be disconnected and a leash attached instead. If you have this type, then walk your dog while they are wearing the harness. Eventually, your dog will get used to it and might not try to get out of it so much when you take him in the car. My dog Pierson wearing the Bergan brand. He also wears the Ruff Rider Roadie. Once you have your dog used to wearing the device in the house or on walks, start taking short trips in the car. If you can, have someone sit in the back with your dog to distract him and praise him when he is not trying to get out of the harness. Eventually, you will want to work up to longer trips and trips without someone in the back seat. 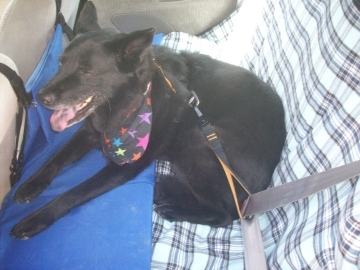 Help your dog associate their pet seat belt with fun stuff. Always try to reward your dog when they are not trying to get out of it. You can say 'no' in a firm voice when they do try to chew on it, but don't punish them. Redirect their behavior away from the harness with a fun toy or treat. An American Eskimo wearing her restraint. If your dog is trying to get out of the harness by chewing on it, try spraying it with Bitter Apple spray or another dog training spray deterrent. Another reason your dog may be trying to get out of it is because they want to be able to move around and/or be close to you. Because my dog Maya likes to move around, the tether on her harness is kept a little longer. A shorter tether is safer, but it's not going to be safe if your dog keeps trying to get out of it. So I have compromised a bit and allowed her a little room to move around. 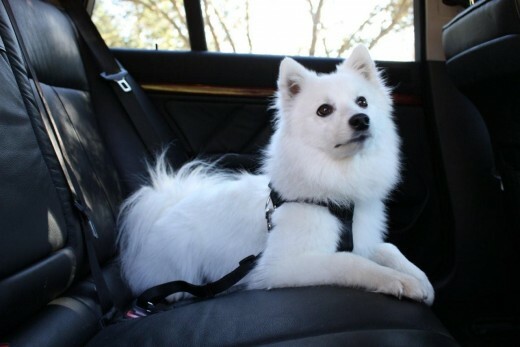 Which Dog Car Harness Brand is Right for Your Dog? 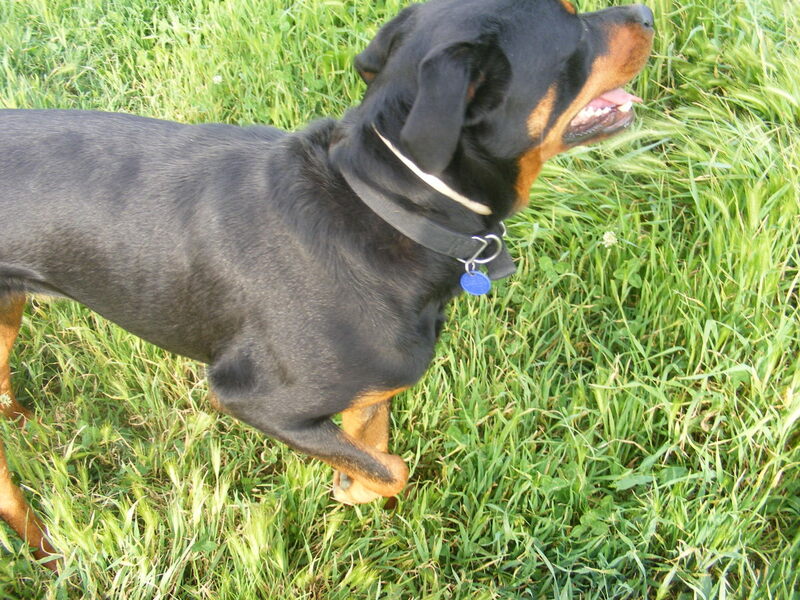 If your dog is like my Maya, consider a dog car seat belt which has a longer tether. Good brands which have been crash tested for strength include the Ruff Rider Roadie and the AllSafe. The ClickIt is another crash tested brand but it is very restrictive. More restriction is safer, but consider your dog's personality in the car. A dog that insists on trying to move around a lot is probably going to adjust better to the Ruff Rider. Another thing to consider is chest padding. Some dogs have long hair and you might think that it would be uncomfortable for your dog to wear a padded harness when it is warm out. But a padded harness can also add additional safety. In a sudden stop, for example, the pressure is dissipated around the chest instead of all in one spot. Consider how the tether of the harness attaches to the car. Guardian Gear and Cruising Companion brands buckle directly into the seat belt receptacle of most cars. These failed crash testing, though. Bergan uses a carabiner which clips around the seat belt housing. Tru-Fit and Ruff Rider have the seat belt of the car go through the loop on the tether. The ClickIt uses the seat belt of the car to go through the back. And AllSafe has a short tether that connects to the seat belt webbing. 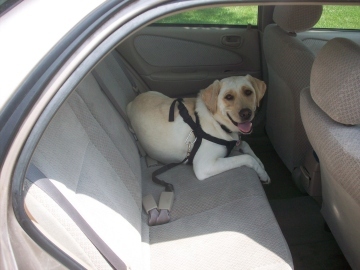 Consider the safety testing of a dog car harness. The ClickIt completely passed an independent crash test study. Ruff Rider and AllSafe did not fail the test, but because they allow more movement, which can cause dogs to be tossed around a bit more in a car accident (depending on the nature of the accident and how long the tethers are). 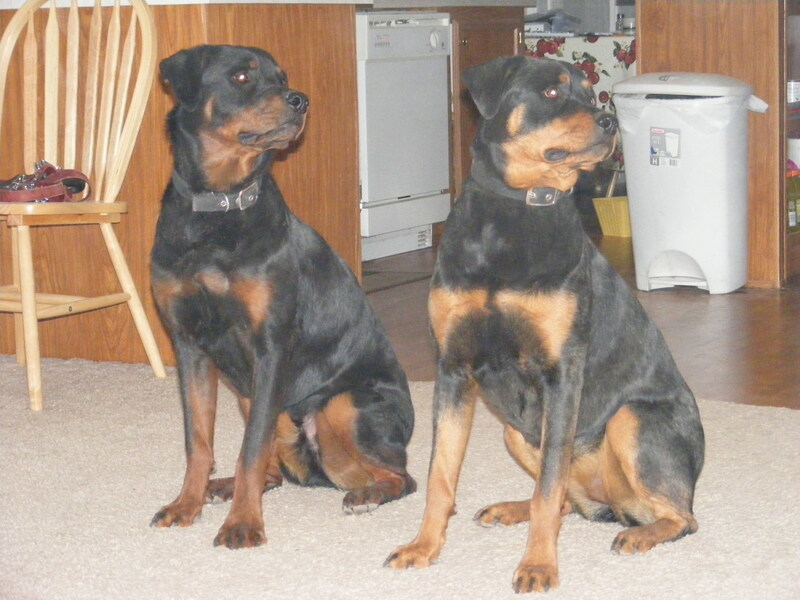 Bergan failed for dogs over 75 pounds. 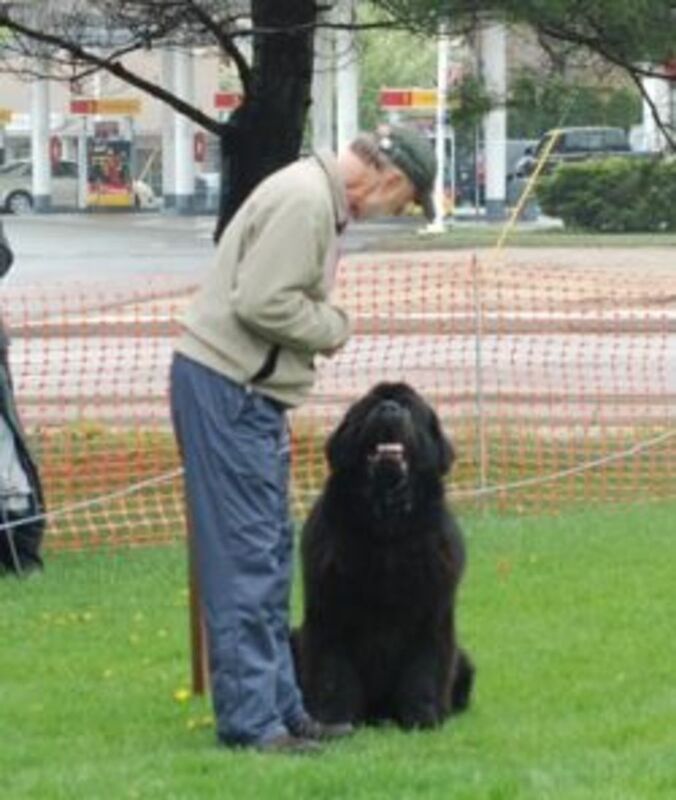 Kurgo failed at 25 pounds and over 75 pounds but passed at 45 pounds. Kurgo has since made some modifications that may have improved their product. It would be easier if there was a dog seat belt that your dog couldn't get out of. But if there was, it would have to be very tight and could possibly harm your dog instead of help him in a car accident. Besides, having a harness that your dog doesn't try to get out of doesn't prevent him from still trying to get out of it. By trying to get out of one that is supposedly inescapable, your pet could hurt himself. For best results, training is the best long-term option. 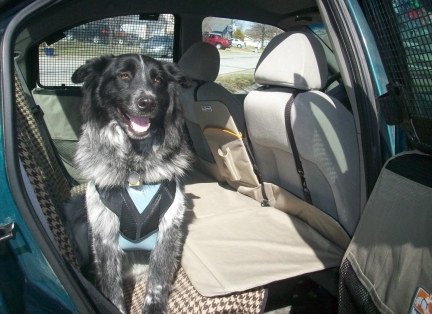 Pet Auto Safety has gathered a lot of information on various travel products for dogs. We had a dog that when we first got her would not sit in one place when we were driving. I decided to try a harness and was surprised. She immediately sat in place and waited to be hooked up.Sice we knew nothing of her previous life we concluded that she must have been trained for the harness and was insecure without it. Thank you for the very useful information and recommendations, Nature By Dawn. I appreciate the training techniques.